Samsung recently announced the launch of their first Tizen smartphone, the new Samsung Z1 and now we have an unboxing video of the device from the guys over at Sammy Hub. The Samsung Z1 comes with a 4 inch PLS display that has a WVGA resolution of 800 x 400 pixels, and the device is powered by a dual core processor with a clock speed of 1.2GHz. 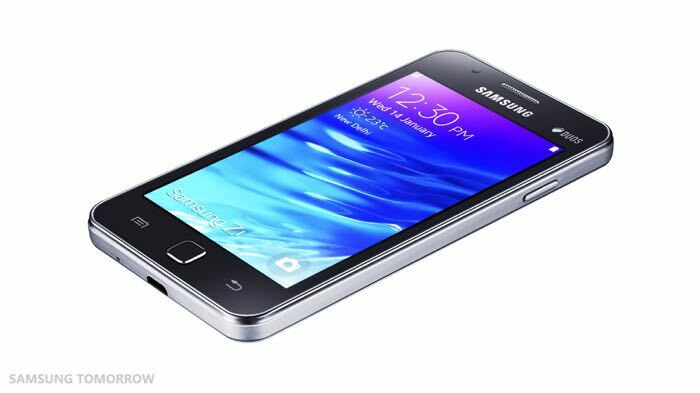 Other specifications o this new Tizen smartphone include a VGA front facing camera and a 3,1 megapixel rear camera. The handset comes with Tizen 2.3 and it also features a 1500 mAh battery, Bluetooth 4.1, USB 2.0, 802.11 b/g/n WiFi. Samsung are launching their new Z1 Tizen smartphone in India, the device will retail for INR 5700 which works out at around $92 at the current exchange rate.